Following his victory at the battle of Shrewsbury that ended Part 1, King Henry now finds that he must deal with a rebellion by Scroop, Hastings and Mowbray. They are eventually tricked into disbanding their army and are sentenced to death. Henry is finally secure on the throne, but it has come too late: he is dying. 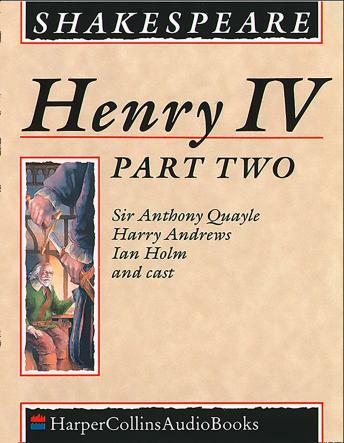 The play ends with the accession of his son, Prince Hal, as Henry V. The new king immediately reforms, renouncing his dissolute lifestyle; and when his former companion Sir John Falstaff hastens to London in the belief that the new king will show him favour he is cruelly disillusioned. Harry Andrews, Richard Johnson and Sir Anthony Quayle lead a distinguished cast in this powerful production.